I am going to share a little secret. Like some anglers who share the location of their favorite fishing holes or dippers who share their secret hot springs spots – when I make an awesome foodie find I like to share the love. Best mac n cheese in the Western US in my esteemed opinion is at Como’s Corner Bistro on SE 1st and SE Court in downtown Pendleton, Oregon. 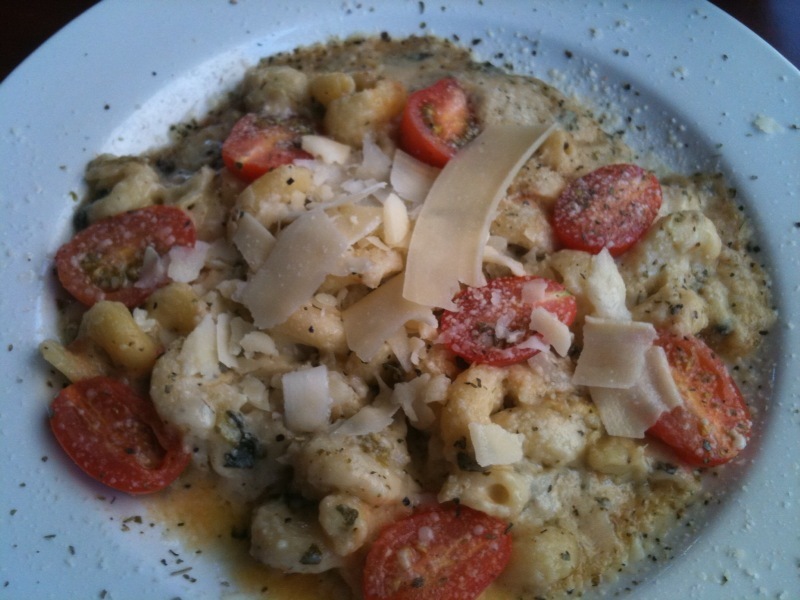 Como’s Gourmet Macaroni and Cheese: Cavatappi pasta baked with mozzarella , feta, gorgonzola, and parmesan cheeses, spinach, onions and artichokes. Must be the combo of cheeses or the spiral pasta or the added herbs but this stuff is one of the few meals I dream about days ahead of time. Now, I eat a LOT of mac n cheese – it’s my thing, so to speak. If restaurants put it on the menu – let alone call it gourmet – I feel it’s my duty to give it a try. We first stumbled on Como’s 7 years ago en route from Boise to Portland or Seattle or Spokane. In other words – Pendleton is on the way to quite a few places. I also had an Italian great uncle named Como back in Queens so it had the family thing going. It’s now become a stop for us on every roadtrip we take West of Boise. Besides the fantastical cheesy goodness that is their M&C, the tiny bistro also has some seriously good Italian dishes made from scratch – EVERYTHING is delicious. I only know because Kevin tries out the other entrees like spinach ravioli in cream sauce with spicy Italian sausage, while I enhale M&C. Make it a stop on your next journey West on I84! In a nutshell, sharing the dishes you love, not just the locales. I. Want. To. Go. Here.